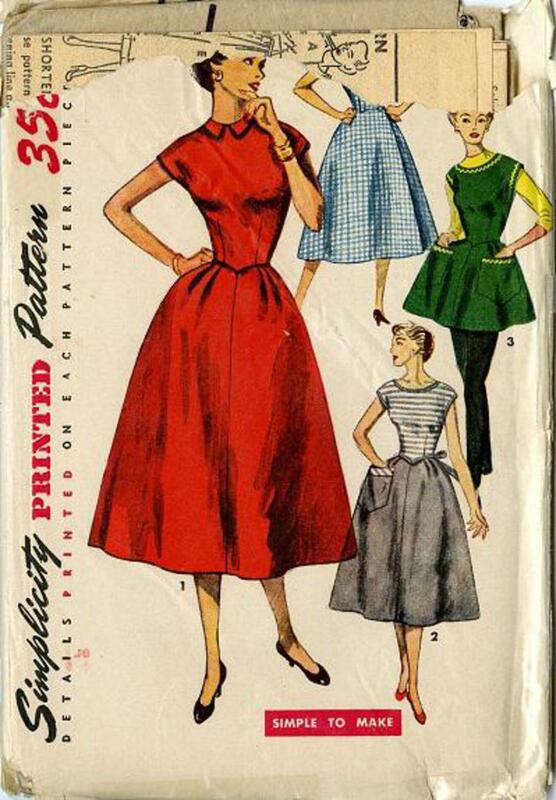 1954 Simplicity #4522 vintage sewing pattern, misses' wrap-around dress and apron, size 14. 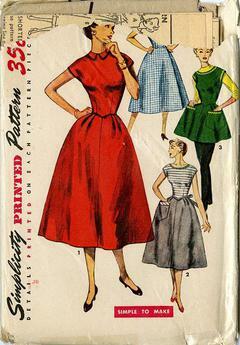 "Simple to Make" style has fitted bodice shaped at front waistline. Skirt is softly pleated in front. Overlapping backs fasten at neck and waistline. V. 1 dress features bias binding trim. V. 2 has scoop neckline, bias trim and pocket. Tie ends form bow at back.